There’s no shame in wanting a show-stopping smile. Not everyone can have sparkling pearly whites that are perfectly aligned and even. If you’re one of the millions of people who want to improve their smile, you can with cosmetic dentistry. Unsure what types of treatment you can pursue? 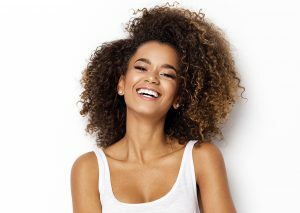 Let a cosmetic dentist in Marietta explain the different options and how you can combine them to create the ideal smile. Bleeding gums are a serious problem that should never be ignored. Potential causes for this condition include improper brushing or flossing techniques, medication side effects, or, in most cases, the presence of harmful bacteria. It’s important to see your dentist in Marietta as soon as possible to get to the root of the problem. Prompt treatment can bring relief. Children’s Dentist in Marietta Offers Tips to Make Oral Care Fun! 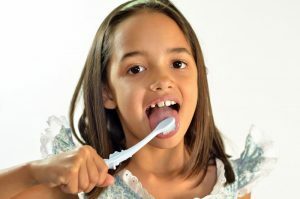 If there’s one thing that dentists can understand, it’s that getting your child to practice daily oral care is not an easy task, at least at first. Thankfully, dentists are not only trained to remove harmful plaque and recommend helpful oral care products. A children’s dentist in Marietta can also provide valuable advice on making your child’s oral care routine a fun experience! Considering the fact that February is Children’s Dental Health Month, there’s no better time than now to use these fun tips the next time your child needs to brush and floss! Comments Off on Children’s Dentist in Marietta Offers Tips to Make Oral Care Fun! 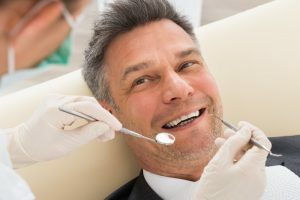 West Cobb Dentist Explains How To Make 2019 Your Healthiest Year Yet! Comments Off on West Cobb Dentist Explains How To Make 2019 Your Healthiest Year Yet! On the surface, smiling might seem like a straightforward thing to do, but you would be surprised at what researchers have learned about the psychology of smiling in West Cobb. In fact, in many ways smiling and feeling good are a “chicken-and-egg” situation – which one comes first? Of course, you smile in response to feeling happy or amused. But it turns out that the act of smiling – even when you don’t feel like it – can actually lead to feeling happy all by itself. Not to mention that it’s a universal language that anyone, anywhere can understand. Keep reading to learn more about the interesting research on the psychological benefits of smiling and how it can improve your mood right away! Standard vs. Mini Dental Implants in Marietta: Which is Best? Are you ready to join over 500,000 people this year who are choosing to replace their missing teeth with dental implants? You are making an excellent investment for your oral health and your quality of life. While you may think all dental implants are the same, they are not. You have a couple of different options. You can choose from traditional or mini dental implants in Marietta, but which is best? Here is what you need to know to make the best choice for your new smile. 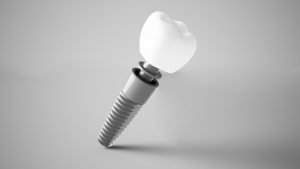 Comments Off on Standard vs. Mini Dental Implants in Marietta: Which is Best? Dental disaster can strike out of nowhere, and most people don’t know what to do when it happens. How you handle dental emergencies can be the difference maker in saving your smile. 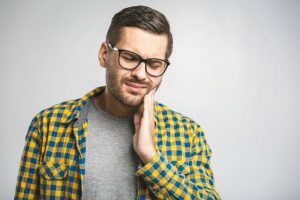 Keep reading to discover the best ways to handle the most common dental emergencies from an expert emergency dentist in West Cobb. Halloween is almost upon us. Your trick-or-treaters are probably looking forward to putting on their costumes and stocking up on sugary treasures. But all that candy-coated deliciousness can lead to some scary toothaches if things go overboard. 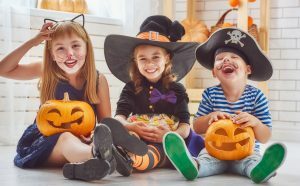 There’s no reason to fear however, as long as you follow these timely tips from a children’s dentist in West Cobb. Gum disease is a serious threat to your oral and overall health. Unfortunately, its occurrence is also incredibly common — estimates say that more than half of adults over the age of 35 experience this chronic condition to some extent. 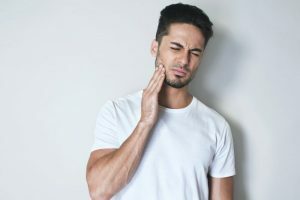 Talking about gum disease is key to reducing its effects, so keep reading to learn more about gum disease in West Cobb, including why periodontal treatment is so important. Comments Off on What Happens If Gum Disease Is Left Untreated? It’s a mild, fall day, and you have plans to head out to Mercedes-Benz Stadium to catch your Atlanta Falcons do battle on the gridiron. As you make your preparations to leave out early for tailgating, you’re greeted by a sharp pain that radiates throughout one side of your face. It appears that you have a serious toothache that needs attention. Is this considered a dental emergency? If so, what should you do about it? Your emergency dentist in West Cobb weighs in to provide the answers you need.